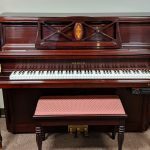 Steinways player upright piano has an incredible tone. 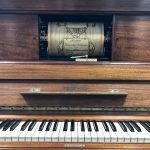 The piano plays beautifully and has the original player system fully restored in working condition. 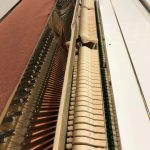 The piano is in fantastic condition. 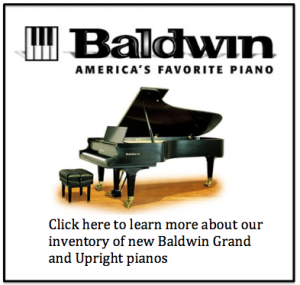 Steinway’s Boston upright is a more affordable option with the same Steinway excellence. 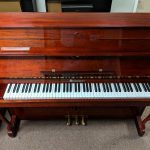 This upright is in near new condition and sounds fantastic. 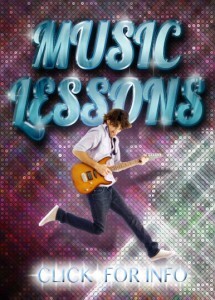 The tone is full and rich and the keys play with precision. 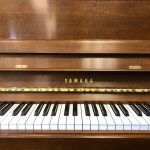 This small Yamaha upright piano is a perfect practice or recording instrument. 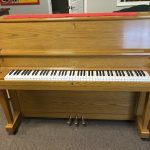 The piano plays with precision and has a clear full tone. 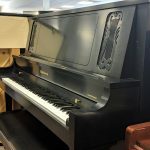 The satin ebony case is in great condition. 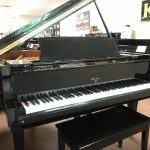 This petite baby grand piano gives you the fantastic grand style action without taking up the entire room. 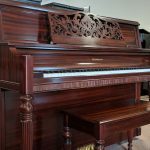 The piano sits in a gorgeous high polish ebony case. 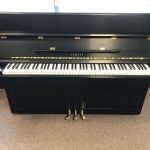 This is a sleek and modern upright made by Hyundai Pianos, a Samick company. The case is in excellent condition and the piano plays and sounds fantastic!